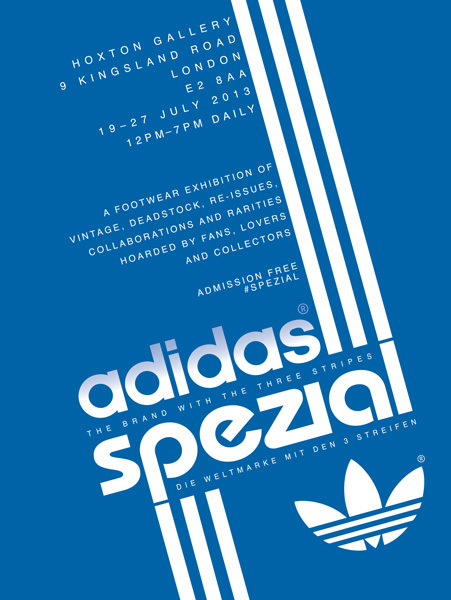 The sportswear giant Adidas is hosting a unique exhibition, Spezial, which includes more than 600 pairs of rare sneakers of the brand. For the project, the iconic footwear pieces from different decades were put together—vintage, deadstock, re-issues, collaborations and rarities, which are usually kept in private collections of the brand’s fans, are now available for everyone to see in London. 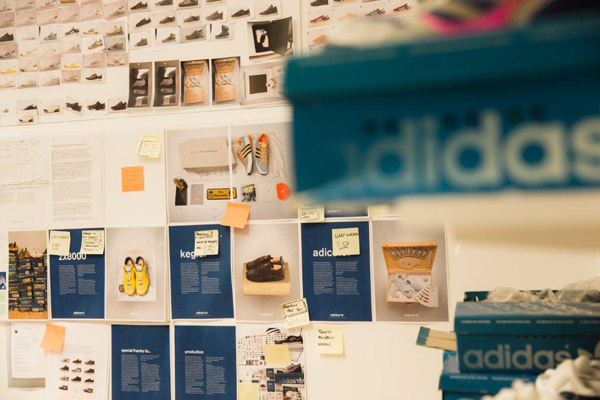 The exhibition, a compilation of personal stories narrated through the Adidas sneakers, provides a unique insight into the brand’s cultural, design and technology achievements. 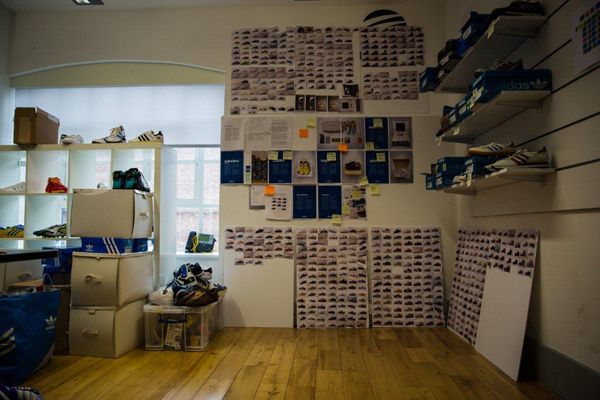 The exhibition was created by Gary Aspden, the brand’s long-time fan who has been “in love” with Adidas for about 40 years. The new exhibit is based on his personal collection. 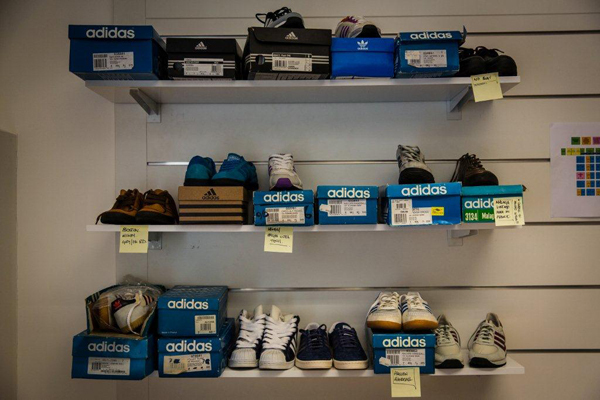 He also teamed up with other trainer collectors, who contributed their rarities to Spezial. 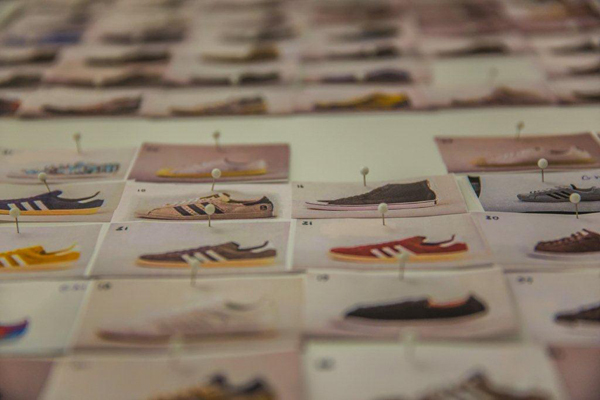 The oldest piece on display there is a pair of sneakers dating back to the 60s, so Spezial covers the half a century of the Adidas history. Visitors to the exhibition, which runs at Hoxton Gallery , July 19-27, will be able to see a range of exclusive pairs of sneakers. These include the signed ones from the likes of Noel Gallagher, Run DMC, NERD, Lily Allen, Ian Brown, Nas, Eminem, Public Enemy and more. 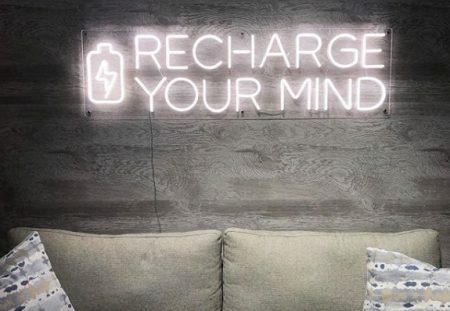 This marks the brand’s deep integration into the modern culture, not just sports. Along with hosting the exhibit, Adidas is releasing a limited edition 100-page book that highlights some of the items from the exhibit. 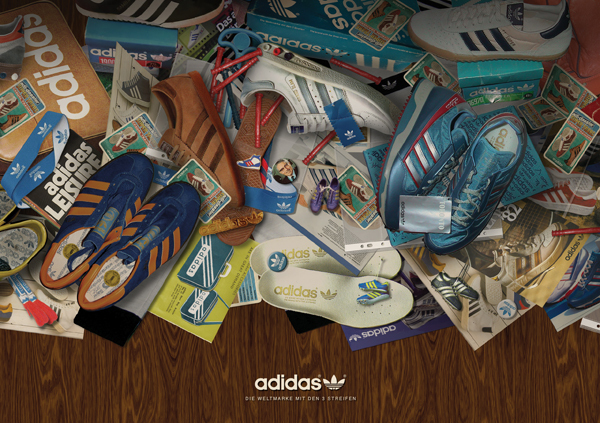 The publication will also include quotes from influential adidas aficionados—designers, musicians, collectors, fans. 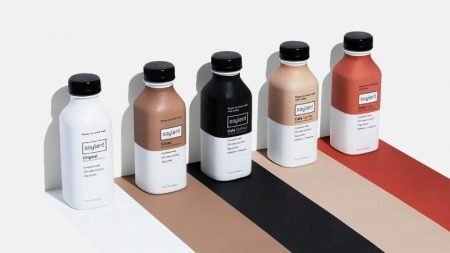 All of them have their own story of how the brand contributed to shaping their lives. Currently, the brand doesn’t announce the price of the book. The admission to the exhibit is free. Posted in Marketing and tagged Adidas, clothing & footwear, fashion, sports, UK. Bookmark the permalink.